New York City, New York —November 19th, 2018—In September 2018, NYC Media Lab launched the XR Startup Bootcamp, an intensive, 12-week accelerator program with 10 early-stage startup teams. Teams were selected from the Lab’s consortium of NYC-based universities—including NYU, Columbia, CUNY, The New School, and Pratt Institute—and are focusing on customer discovery and market validation for startup concepts leveraging virtual, augmented and mixed reality technology as well as voice interfaces. The accelerator will conclude with lightning pitch sessions and interactive demonstrations on November 29th, 2018 at NYC Media Lab’s annual Exploring Future Reality conference at NYU Kimmel Center. The XR Startup Bootcamp is the first program emerging from the RLab, a sprawling 16,500 square foot space currently under development in Building 22 of the Brooklyn Navy Yard. 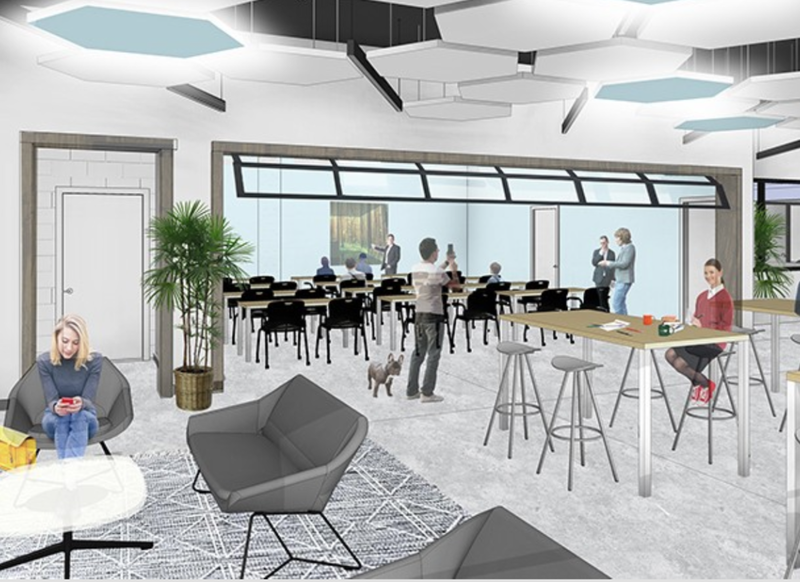 Fueled by a $5.6 million investment by NYCEDC and MOME, RLab is the first city-funded VR/AR center in the country, and will continue to support startups, talent development, and corporate innovation when construction is completed in 2019. RLab’s mission is to cement New York City’s status as a global leader in virtual and augmented reality while creating jobs and opportunities for innovators across diverse industry verticals. In this vein, the teams participating in the XR Startup Bootcamp are developing real-world business solutions applying XR technologies to industries like waste management, air cargo logistics, education, media and entertainment, and enterprise software. NYC Media Lab has a track record in funding and nurturing new companies. Since 2016, the Lab has managed the Combine accelerator to match new technologies emerging from universities with commercialization resources. Of the 32 early-stage teams that have graduated from the Combine, a dozen have raised a total of $3 million in venture capital, SBIR, angel investment, friends and family money, prizes and other grants. “It’s exciting for NYC Media Lab to debut this cohort of XR Startup Bootcamp founders and their products to New York City’s digital media and technology innovation community. With the lean startup methodology, the founders have been searching for product-market fit through hundreds of customer discovery interviews and market validation exercises. We are enthusiastic about the potential for these new entrepreneurs to scale adoption of XR technology for use cases in a variety of industries. This program highlights the technical and entrepreneurial talent emerging from New York City’s universities,” said NYC Media Lab Director of Entrepreneurship Programs Amy Chen. Pitches will take place during the main stage portion of Exploring Future Reality across two sessions. The main stage is located in the Eisner & Lubin auditorium on the 4th floor of NYU Kimmel Center. Teams will also be available at the event’s interactive Demo Expo in the 10th floor Rosenthal Pavilion from 1:00PM-6:00PM. Learn more about these startups, listed below in order of stage appearance. To register with a press pass, please write to Alexis Avedisian at alexis@nycmedialab.org. To learn more about NYC Media Lab’s entrepreneurship programs, contact Amy Chen at amy.chen@nycmedialab.org. AIR|VR is developing a customizable software package that will allow for the activation of industrial robotics through the use of virtual reality. Robotics that coexist with trained personnel to complete dextrous and variable tasks. Unseen Media is focused on using the latest immersive technologies to create compelling in-home and location-based narrative entertainment experiences. Craft is a multi-modal solution to enable people with limited limb mobility to create art in the virtual environment using eye movements and voice commands. echoAR is a cloud platform for augmented reality apps providing tools and server-side infrastructure that help companies build better AR apps and grow successful businesses. Graceful Ray enables companies to bring the real world to virtual world by creating photo-realistic 3D content of any object regardless of shape and material. ARC empowers logistic professionals and handlers with augmented training tools using XR technology to increase the proficiency, safety, and transportation of cargo. EZXR is building solutions for legal professionals in trial preparation and strategy, using virtual and augmented reality. Lucida enables art sellers to share and sell their collections through virtual exhibitions, with no coding required. spARk is an augmented reality and voice platform for STEAM educators and learners. Parallux delivers world class immersive entertainment to audiences of all sizes. NYC Media Lab connects digital media and technology companies with New York City’s universities to drive innovation, entrepreneurship and talent development. A public-private partnership launched by the New York City Economic Development Corporation, NYC Media Lab funds prototyping projects that foster collaboration across a range of disciplines core to the future of media. The Combine, an early stage accelerator for emerging media and technology startups, is now in its fourth year.